Does time move backward? Is there life after death? Is cryptocurrency just a trend? It's questions like these will spark the Big Audacious Ideas of tomorrow... Big Audacious Idea is a podcast for listeners who think boldly and beyond conventional perception. Host Craig James meets with many of today’s most provocative thinkers to explore the meta-questions of life. It's 35 minutes of deep and thoughtful discussion guaranteed to feed the curious nature of your mind. 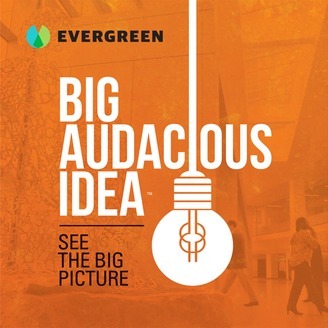 Each episode features “mind giants” like Seth Godin or Alan Burdick who examine what it means to be human, asking the questions that will lead to new discoveries for humankind. Can we ensure a bright future? Is holding true to our beliefs in a world of technological and social "progress" really possible? 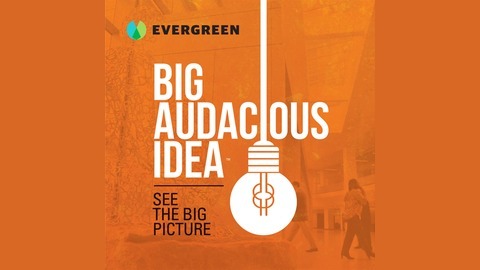 Don’t miss the exciting conclusion of Big Audacious Idea. In this episode, we will sum it all up. During the season we’ve delved into mind-spinning topics of technology, reality, and consciousness… All of these topics relate to how we as humans solve problems, generate ideas and transform our world. Advances through history have caused certain revolutions of thought: technological, social, or otherwise. How do we know when we’re at one of these points in history? How does the new become old—and how do we promote the next revolution? This is where we’ll go with Lev Gonick, CIO at Arizona State University, who is an educator, technologist, and smart city architect.